After several delays and a very frustrating process, I now have my VISA for Saudi Arabia. I'm headed out early next month shortly after returning from the Mentor Series Trek to Costa Rica. 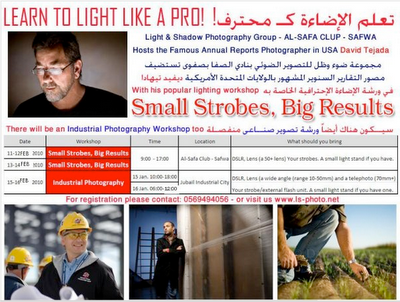 I'll be teaching a series of private workshops for the Shadow & Light Photography Group. This will be my first time to the Kingdom of Saudi Arabia and I'm really looking forward to this experience.